These beautiful heirloom-worthy drop clip on earrings are a staple for every occasion. 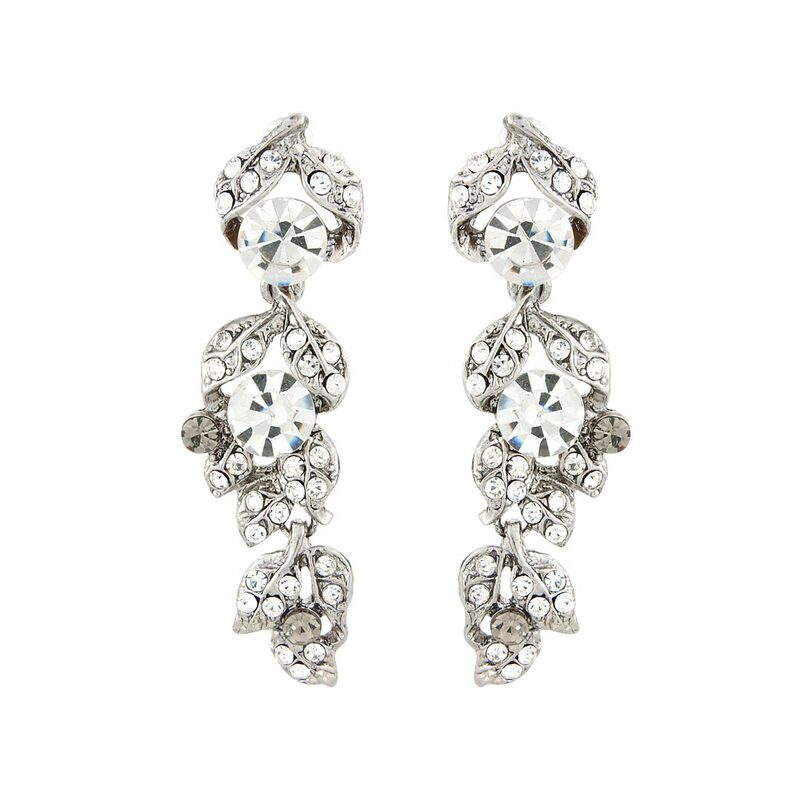 Stunningly classic, Vintage Treasure Clip On Earrings are full of 1940s glamour with a touch of Victoriana. A sparkling drop design, this exquisite antique silver tone pair features clear and smoky grey Austrian crystals with petite leaves set with a myriad of clear gems. A must own for women without pierced ears, these timelessly chic clip earrings are perfect for every occasions. From a black tie ball to a romantic date, they look divine teamed with our coordinating Vintage Treasure Necklace. A fabulous choice for brides who adore the stylish 1940s, Vintage Treasure have statement pizzazz without being too dramatic. Perfect if you are opting for an elegant updo, as these beautiful crystal drops will glisten as you glide down the aisle. Simply add a bejewelled side tiara or headpiece for true vintage Starlet style.